This is not to say that the cooking here is purely French or suited to the peasant palate – prime steaks like the ones served here are hard to find in France at any price, and truffled lobster salad and Thai spring rolls aren’t the diet of a country farmer. My wife and I were momentarily tempted by a six course tasting menu that sounded delightful, but we decided that we didn’t have the time or appetite on this particular evening. Among the more detached bits of Italy is Venice, which has been an independent country or a subject state of Austria for most of its history. This is reflected in its cuisine, which is more subtle than the dishes of the south and has more seafood and rice dishes than the west. Venetian food is relatively little known in America, but Hermosa’s La Sosta is doing their best to change that. 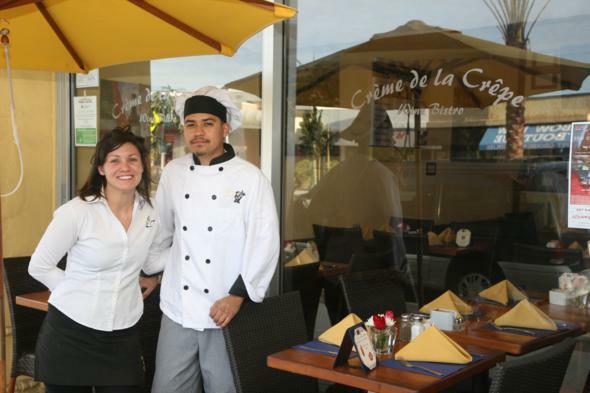 Hermosa Beach’s little piece of France is Crème De La Crepe, a restaurant that has been around for a few years but changed ownership in 2004. I had liked the place under the previous management despite occasional slow service, and was in the process of writing a review when I heard that it had been sold. I decided to wait a while to see how it changed, and I’m glad I did, because it is now far better. The crepes that I enjoyed are still here, but the menu has been expanded to include bistro favorites and the service is far better. The place that became famous for great cioppino, fresh seafood, and an unrivalled ocean view still has all three great items. Manager Wayne Judah still looks much the same, having been there so long that if the building ever changes hands, he may be included in the lease. 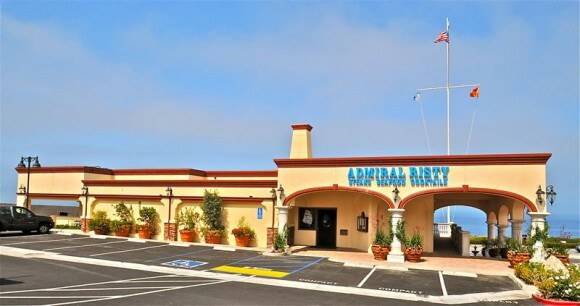 For those who crave a bit of certainty in an uncertain world, the Admiral Risty is an oasis. The Lido Island near Venice is one of the most famously picturesque places in the world, a seven-mile stretch of villas and sparkling beaches. The name has become such a symbol of luxury that restaurants and nightclubs around the world have adopted it, hoping to capture a hint of the glamour. Parisians eat escargot and see expensive shows with minimally costumed starlets at their Lido, residents of Springfield, Massachusetts nibble Clams Casino at theirs, and locals in Riga dine on Latvian and international food in an atmosphere which I can only imagine is very much unlike Venice. The restaurant in the South Bay that currently has the biggest buzz is Buona Sera, the Italian newcomer located on a quiet side street in Riviera Village. I have heard from several readers who called it the best Italian restaurant in a wide radius, which is no small boast given the competition. Having visited the restaurant, I can confirm that the cooking and creativity are top-notch, and while not everything is perfect, it is well worth a visit.